Fleas and ticks are an unavoidable part of living with pets. Every time your pet goes outside, there is a strong likelihood that they might return with some of these pests. If you don’t rid your dog of them as soon as possible, the pest infestation can get out of hand and cause serious health problems in both you and your pet. To prevent these, it is advisable to groom your dog every day and check them for pests after every outdoor activity. To further protect your dog, you should consider giving them anti-parasitical topical treatments and oral medications. The two commonly recommended ones are NexGard and Frontline for dogs, both manufactured by Merial Inc.
NexGard is an oral anti-parasitical medication that comes in the form of chewable tablets and contains a chemical ingredient called afoxolaner; this ingredient kills the pests by targeting their central nervous system. It has found to be very effective in destroying fleas and ticks within 24 hours of ingestion, and it wards off further infestations for up to 30 days. NexGard is only available on veterinary prescription, and the prescribed dosage varies according to your dog’s weight; check the expiry date before use, as it should be used within two years of manufacture. It is given once a month and can be taken on both a full and empty stomach. It is safe to be given alongside vaccinations and many other medications but check with your veterinarian to be sure. Dogs have to be at least eight weeks old and weigh over four pounds to be given NexGard. It is not recommended for pregnant dogs, dogs that have a history of seizures, dogs that suffer from allergies, and dogs that have other serious health conditions. Some dogs may suffer side effects like vomiting, diarrhoea, itching, listlessness, and dry, flaky skin. Frontline is a topical medication that comes in the form of a serum that is applied to your dog’s skin between their shoulder blades. The dosage is determined by your dog’s weight. You don’t require a prescription to buy Frontline. The main ingredients in Frontline are fipronil and S-methoprene. Fipronil attacks the central nervous systems of existing pests and is absorbed by the sebaceous glands and wards off further pests for a period of 30 days. S-methoprene kills the eggs and larvae of fleas and ticks. 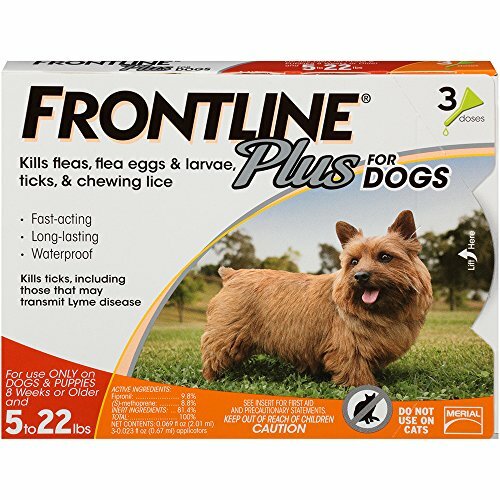 Frontline kills off adult parasites within 12 hours and their eggs and larvae are destroyed within 48 hours, and your dog is protected from further pest infestations for the next 30 days. Since Frontline is a topical application, it is essential to keep your dog from licking their coat for at least an hour. You should also forgo bathing your dog and keep them out of water bodies for at least 24 hours after application. Frontline becomes waterproof after that. Some dogs can develop skin problems as side effects. Puppies under 8 weeks old cannot be given NexGard. Elderly dogs with health problems may suffer from side effects and may be better off not given NexGard. The dosages of both NexGard and Frontline are determined according to your dog’s weight. There is a minimum weight requirement for each. NexGard is not suitable for dogs with allergies, dogs with health conditions, and pregnant dogs. 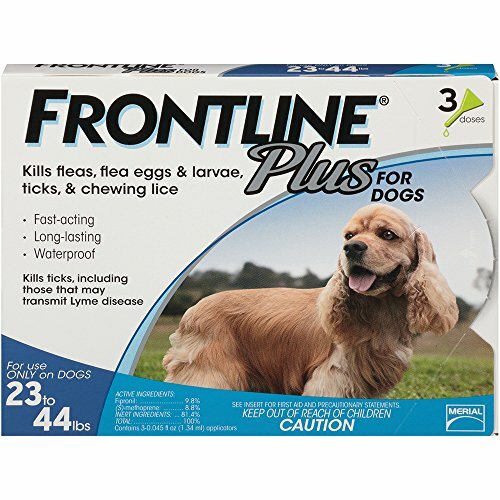 Frontline may not be suitable for dogs prone to allergies. The type and severity of the parasitical infestation also factors into which medication will be better. NexGard can be more effective in killing off fleas and ticks than Frontline. Many pet parents find NexGard more convenient than Frontline. Since NexGard is taken orally, you don’t have to be concerned about the medication rubbing off onto your home furnishing and having to clean that later. You also don’t need to keep your dog apart from children or other pets apart after giving the medication. With Frontline, on the other hand, you will need to be vigilant about keeping your dog off the furniture and away from your children and other pets for at least 24 hours after application. You don’t want your children petting the dog and coming in contact with the medication, or have your other pets lick the fur and end up ingesting the topical medication. Frontline is toxic if ingested. Frontline may be toxic to cats and other pets in the household. This can be a problem with NexGard too if your pet vomits up the medication and your other pets eat the vomit. Keep an eye on your pet for 24 hours after giving them the oral medication and clean up after them at once if they vomit. If you have skin allergies or other skin-related conditions, you may aggravate your health issues by coming in contact with Frontline. In such a situation, NexGard will be a better and safer choice. 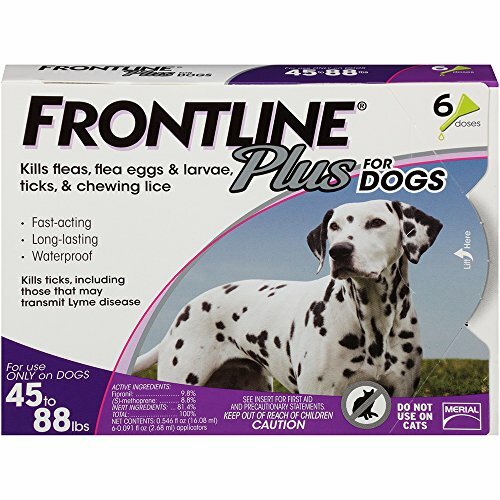 With Frontline, you will need to refrain from bathing your dog and keep them away from water until the medication has completely dried. It becomes water-proof after that and there will be no danger of it seeping into the water. With NexGard, this concern doesn’t arise. At present, NexGard appears to be more effective than Frontline in killing fleas and ticks. If a topical medication is repeatedly used, the parasites can develop an immunity against it. This may happen with oral medication too, but so far it hasn’t with NexGard. If your dog is prone to allergies or has any other existing health conditions, it may be best to avoid using NexGard. The main problem with oral medications like NexGard is that once ingested they will remain effective in your dog’s system for up to 30 days. So, if your dog develops any side-effects they may suffer from these for the entire duration. Topical medications like Frontline, on the other hand, can be quickly washed off if you observe that your dog is not doing too well afterwards. NexGard comes with a beef flavoring to make it enticing for dogs, but there will still be diehards that refuse to be tempted. You will either have to force feed the tablet or sneak the medication into your dog’s favorite food. 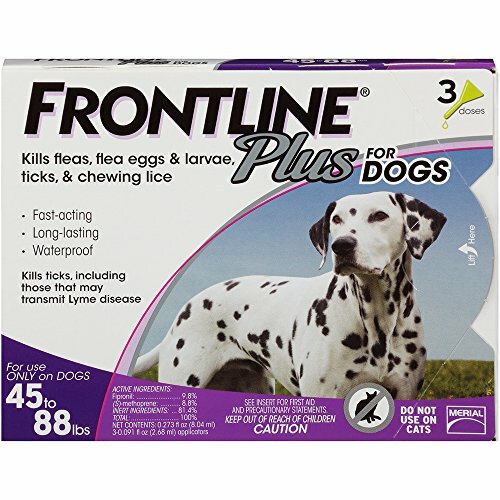 You only need to have your dog stand still to apply Frontline. Before deciding upon NexGard or Frontline, pet parents need to carefully read the accompanying medical literature and also have a discussion with their veterinarian. Find out if the medications are appropriate for your dog, especially if your dog has any existing health conditions, other medications or is undergoing any other treatment. Some dogs can suffer from side effects like vomiting, diarrhea, loss of appetite, and listlessness after being given the anti-parasitical medications. More severe side effects may include seizures and skin-related problems. It may be best to stop giving the medications in such cases and look for other, more suitable alternatives. There are many natural remedies against fleas and ticks that pet parents can consider if their dogs are allergic to NexGard and Frontline. You may need to apply these natural remedies daily or weekly. Mix white vinegar or apple cider vinegar with baking soda, lemon juice, and water, and spray the concoction over your dog’s fur. Mix apple cider vinegar with salt and water, and spray the mixture on your dog’s coat. You can also add a little apple cider vinegar to your dog’s drinking water. Squeeze out fresh lemon juice or fresh orange juice, dilute it with water, and spray it over your pet’s fur. Mix lemon juice, coconut oil, and water with essential oils like cedar, lavender, lemongrass, eucalyptus, peppermint, rose geranium, and citronella. Spray the mixture over your dog’s coat. You can also dilute the essential oils with water and coconut oil, soak the mixture into a bandanna or a flat collar, and tie the bandanna or flat collar around your dog’s neck to ward off pests. Only use while your dog is outdoors, and, if your pet drools excessively after wearing the bandanna or collar, remove them at once. Soak mint leaves overnight in water and spray the mint-scented water on your dog’s coat. You can soak garlic in water overnight and spray your dog with garlic water. You can also feed your dog half or quarter clove per day. Dissolve camphor in coconut oil and water, and spray the mixture over your dog’s fur. 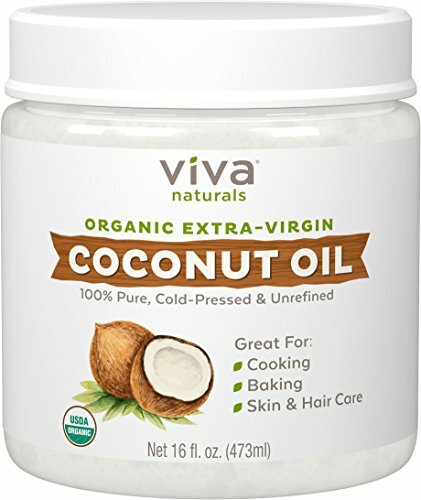 Coconut oil is excellent for dogs and has many uses for maintaining their health. 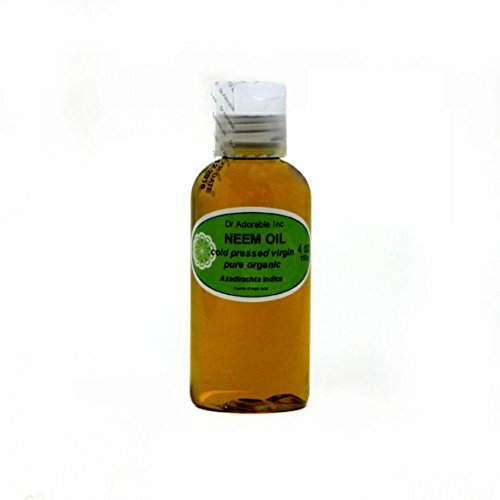 Mix neem oil, coconut oil, and water. Spray the mixture all over your dog, keeping it out of their nose, ears, and eyes. If you have a neem tree in your garden, you can boil fresh neem leaves in water until the water turns green. Let the concoction cool and then spray it over your dog. It is very effective, but it can smell bitter. Bathing your dog regularly can also help as fleas dislike water. Use a mild shampoo and see if you can persuade your pet to soak in a tub of water for about 10 minutes. 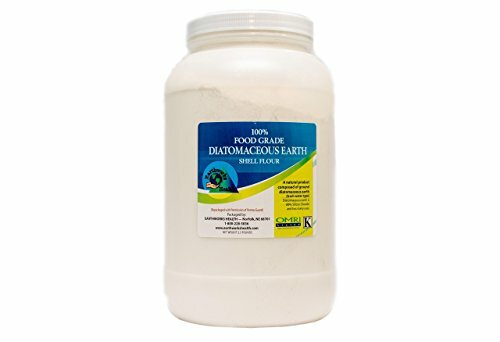 Diatomaceous earth, which is a natural, non-toxic, whitish powder formed from fossilized organisms and which you can purchase online or from garden supply stores, kills pests by dehydrating them. 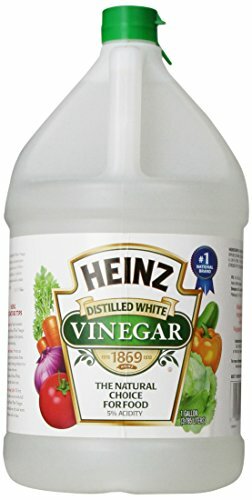 Sprinkle it around your house and yard to get rid of pests and their larvae and eggs. Buy nematodes from your local garden supply store and introduce these organisms in your garden. They will eat pests as well as pest larvae and eggs. Plant basil, lemongrass, mint, marigold, chives, sage, and catnip in your garden. 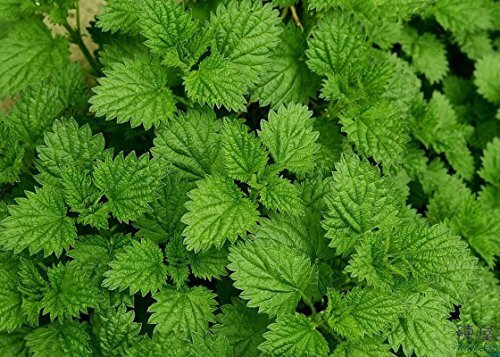 These plants have natural insect-repellent properties, and along with fleas and ticks, will ward off flies and mosquitoes too. Weed your garden, keep the lawn mowed, keep paths swept, and clear away accumulated leaves and other debris. Wash and disinfect your dog’s bed and rugs, vacuum and scrub clean your carpets, floors, and walls, vacuum, brush, and wash your furniture, and launder your curtains and bedclothes. Check out The Savvy Dog Parent’s Guide to Natural Cleaning Supplies. You will need a prescription from your veterinarian to buy NexGard. A safer way to use NexGard and Frontline is to use these medications only in cases of severe flea and tick infestation. Once the pests have been eradicated, make a point of giving your pet weekly or monthly baths, groom your pet every day, and use natural anti-pest remedies that have no side effects. In addition, clean your home environment on a daily or weekly basis. You don’t have to do everything at once, just consistently. By making a habit of general cleanliness, you should be able to keep your pet and your home free of all manners of pests.